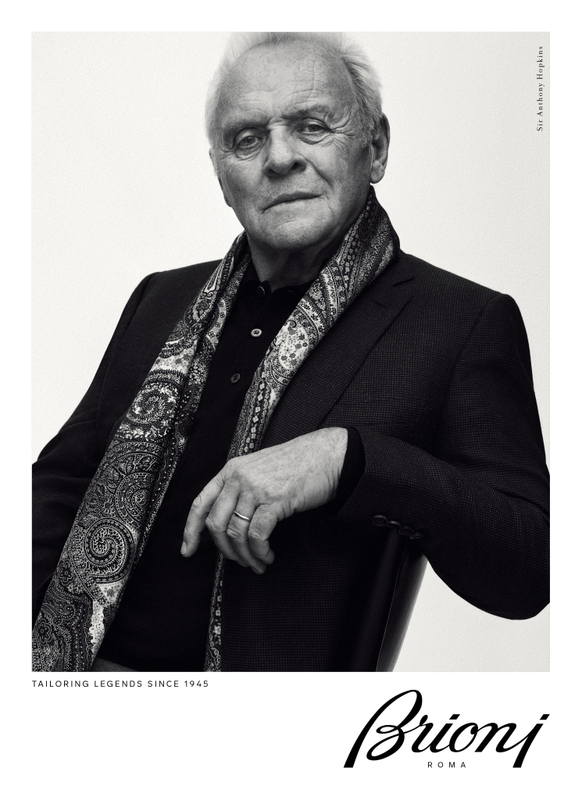 Brioni has selected legendary actor Sir Anthony Hopkins to front its upcoming fall ads. The black-and-white portraits were photographed in Los Angeles by Gregory Harris. 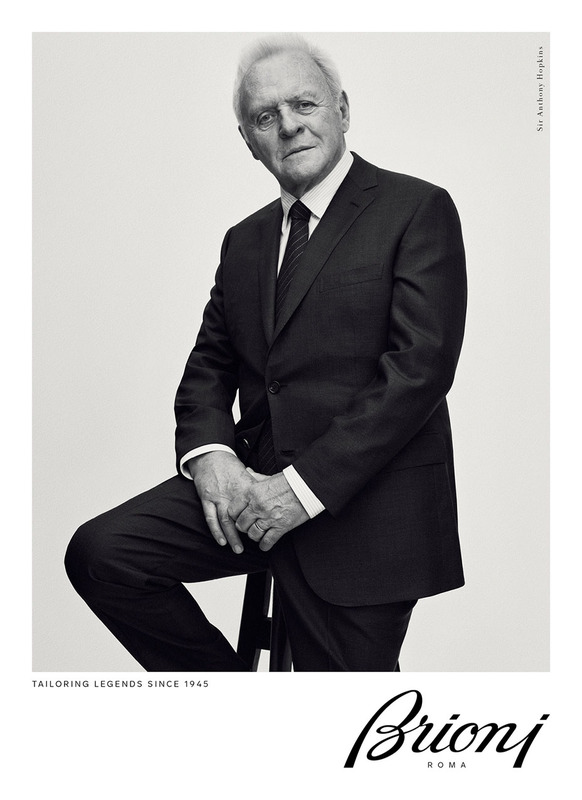 The veteran star’s striking photos will first appear on airport billboards in Rome, at Milan airport Malpensa, and in Beijing on 1 September (17), WWD reports. Marketing imagery will then be rolled out in business and financial newspapers across the U.K., U.S., Germany, and Japan. Anthony has long been a fan of Brioni, wearing the label at the premiere of Transformers: The Last Knight in Chicago last month. 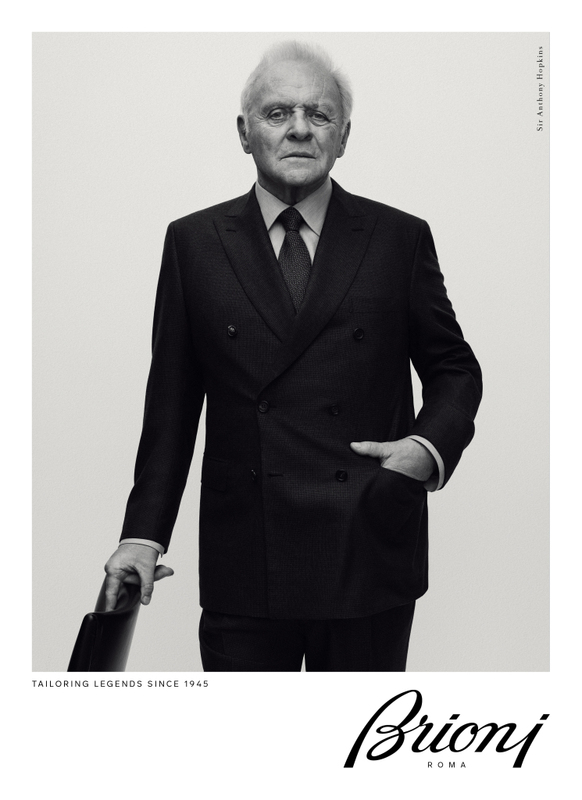 Brioni’s ad includes the tagline of “Tailoring Legends since 1945” – the date the company was founded in Rome – and the polished, sleek photos emphasize the house’s tailoring expertise.